JewishPost.com - A new online Jewish service directory is making a big impact. It was incongruous. The meeting was held in a beautiful apartment overlooking New York Harbor, water views everywhere. The occasion was to hear about the amazing work of the Arava Institute of Environmental Studies (AIES). The institute, located at Ketura kibbutz, in the Arava Desert (part of the Negev) in southern Israel is hot, dry and isolated. The get together was organized by Professor Mehnaz Afridi, of Manhattan College, and a member of the Board of Directors of the Friends of Arava. The gracious hosts were Martin Spit and his wife Leili Rasouli. Professor Afridi�s purpose for organizing the meeting was to raise awareness and support for the unique mission of the institute. Jordanian, Palestinian, Israeli, and other students from around the world come together to build networks of trust and cooperation. Trust and cooperation between the people of the region may bring practical solutions to solve complex environmental problems. Dr. Afridi, a Muslim woman, is the director of the Holocaust, Genocide and Interfaith Center of Manhattan College. She sees AIES as a powerful force for peace in the region. Muslims, Jews, Arabs and Israelis working together to solve serious problems can only help the process of peace. Dr Tareq Abu-Hamed, a Muslim as well, the Director of the Center for Renewable Energy and Energy Conservation, at AIES was present and gave a talk describing some of the activities and aims of the institute. Dr. Abu-Hamed was born in Bethlehem and holds a PhD degree from Ankara University in Turkey. He also did post doctoral work at the Weizmann Institute of Science in Israel. 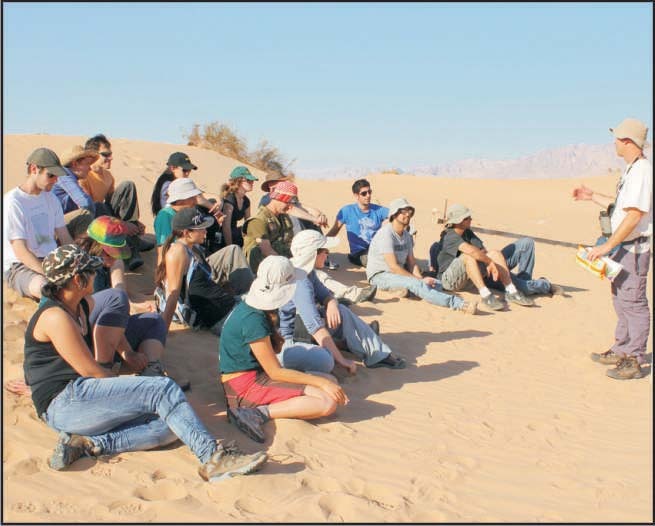 AIES is under the auspices of Ben-Gurion University, and courses in various aspects of environmental science are taught by their faculty members. Students maintain a rigorous course-load in environmental studies including environmental ethics, policy and economics, ecology, and sustainability. They also participate in a weekly peace-building and leadership seminar where they engage in dialog with one another focusing on issues of coexistence, tolerance, and communication. Projects on solar energy, water management, dust and heat reduction for solar panels, and an amazing description of a possible break through in developing a hydrogen powered car were highlighted by Dr. Abu-Hamed. Whatever you are looking for, chances are it’s on Jewocity. Aside from the directory of businesses, Jewocity offers users engaging blog articles on subject areas such as sports, humor, business, and politics. There is even a kosher recipe section, where users can find a variety of tantalizing recipes, posted by Jewish chefs and foodies. Jewocity is part of a large network of over 100 Partner City guides, such as monsey.com and crownheights.com. These Partner City Guides bring the Jewish marketplace together, combining all 100-plus Jewish neighborhoods into the one-stop-shop for finding it all: Jewocity. Shai says, “If you’re looking to spread the word about your business to the Jewish world, you have come to the right place.” Advertisers on Jewocity.com experience the additional benefits of being posted on Jewocity’s Facebook and Twitter feeds. This provides invaluable access to thousands of fans and followers. An increasing number of businesses are finding that Jewocity is an invaluable way to engage with the community. It’s also extremely cost-effective. As a Jewocity Showcase Advertiser, you can target and drive the right people to your business for only $199 per year, or less than $4 per week. For that small investment, your business name, logo, address, contact information and website will be prominently featured on the site. There are myriad ways that businesses can engage with potential customers on Jewocity. An increasing number of businesses are using novel methods to promote their offerings on the site: sharing reviews, coupons, maps, videos, blog posts and more. Jewocity has experienced significant growth over the past few years. This trend seems certain to continue.